Hello, I’m interested in 3271 S Perkins S and would like to take a look around. 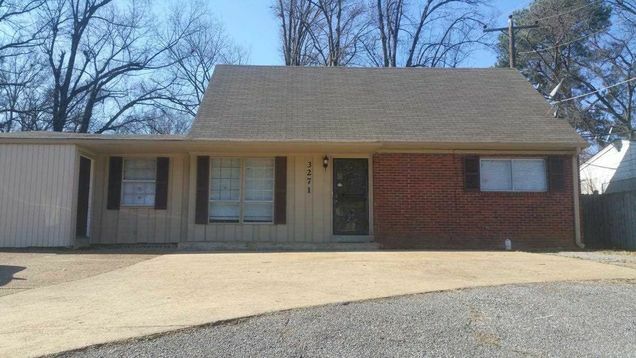 The details on 3271 S Perkins S: This house located in North Parkway Village, Memphis, TN 38118 is currently for sale for $89,900. 3271 S Perkins S is a – square foot house with 4 beds and 2 baths that has been on Estately for 2 days. 3271 S Perkins S is in the North Parkway Village neighborhood of Memphis and has a WalkScore® of 62, making it somewhat walkable. This house is in the attendance area of Knight Road Elementary School, Sheffield High School, and Wooddale Middle School. Listing Courtesy of: MAARMLS and R J Property Management, LLC. Based on information from the Memphis Area Association of REALTORS® MLS. ©2019 Memphis Area Association of REALTORS®. The information provided is for the consumer’s personal, non-commercial use and may not be used for any purpose other than to identify prospective properties that the consumer may be interested in purchasing. Information deemed reliable, but is not guaranteed accurate. Some or all of the listings displayed may not belong to the firm whose web site is being visited.